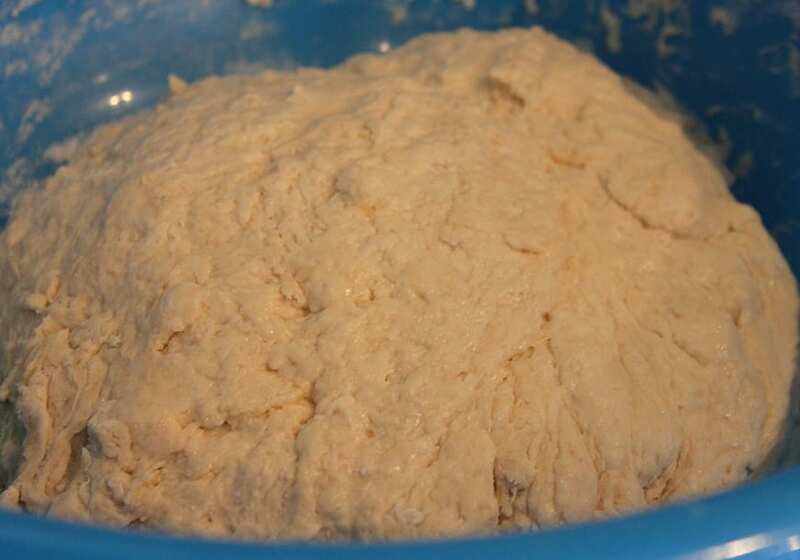 Mix the dough until everything is folded but don’t overwork the dough. 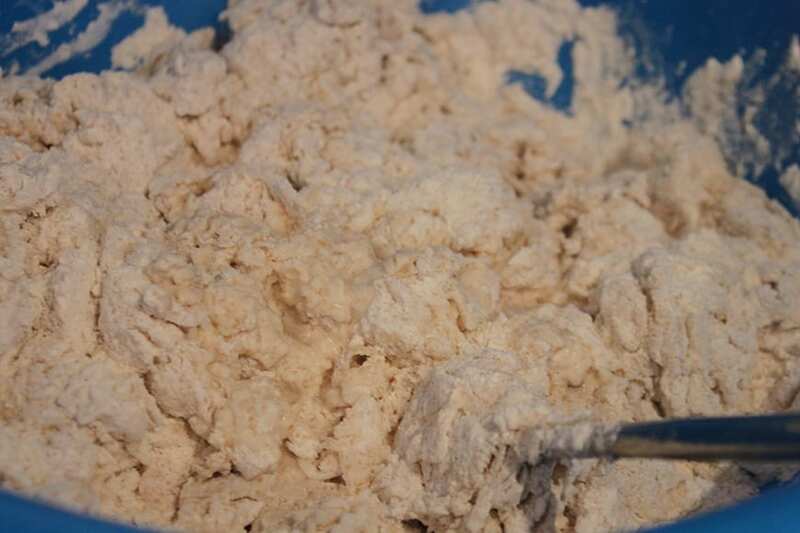 Now start kneading the dough with your hands , adding flour as needed, to keep the dough from sticking to your hands. The kneading process it to fold the dough and then press it and then sprinkle flour on top. It’s a pretty quick process, just about 1-2 minutes. Grab a deep pot and grease the bottom with generous amounts of butter. Grab a generous dab of butter and wipe it in your hands. Grab a piece of the dough, shape it into a circular bun and place it inside the pot until the pot is full. We got an amazing live cooking class on how to make Lolo buns from the amazing Mare of the Wavi Island villa. Fijian Dishes don’t need exact measurements as much as Western dishes do, they are generally pretty easy and not too complicated, you can definitely riff on this recipe a bit and still get a great result. We’re adding just enough water, not enough to make it watery but so that the flour can form a dough. 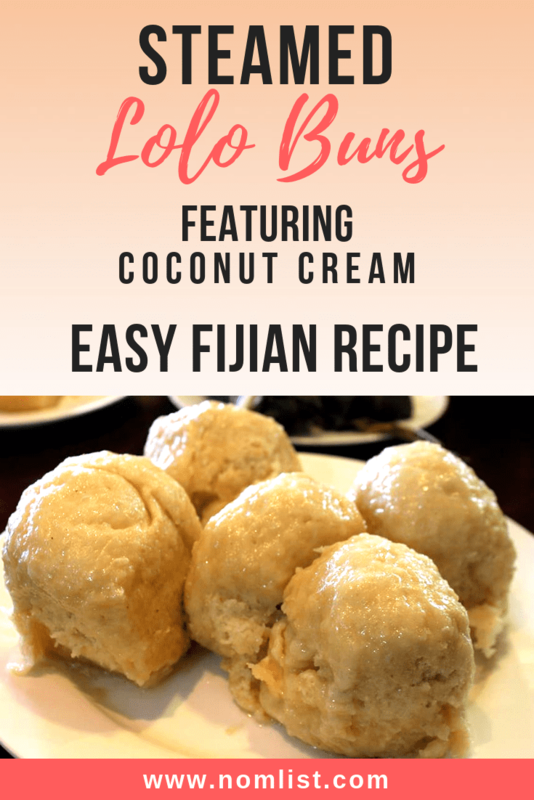 What makes Lolo buns different from other types of buns is the addition of the coconut milk. Also, these special and delicious buns are boiled, not baked. They taste quite similar to Chinese steamed bao. Lolo means coconut milk or coconut cream. Yum yum! 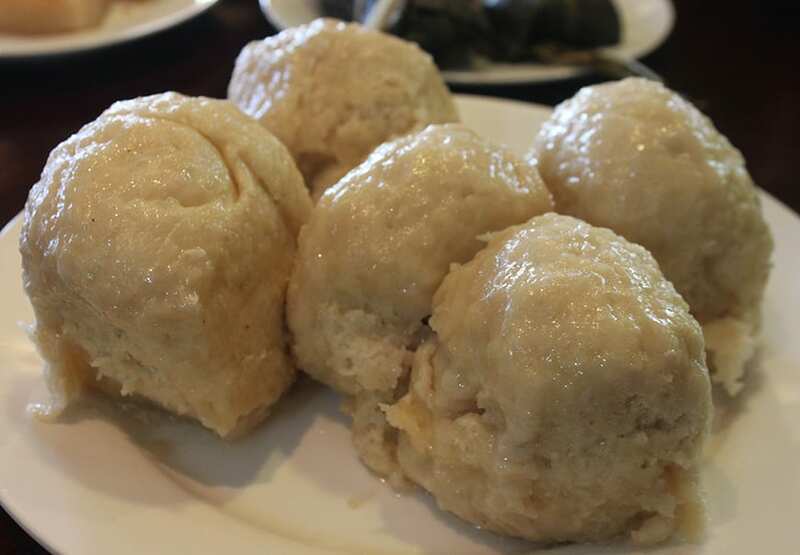 Fijians prefer these boiled buns as compared to baked buns and you can’t really even purchase lolo buns at the store or restaurants unless someone is selling it at the market. It’s hard Fijians to sell this type of food because everyone knows how to make it at home. In Savusavu, there’s really barely any Fijian restaurants at all in town. Using warm water (not hot! ), slowly pour the water into the mixture while mixing it with a spoon. Watch your dough, make sure that it’s not too watery. Now start kneading the dough with your hands, adding flour as needed, to keep the dough from sticking to your hands. The kneading process it to fold the dough and then press it and then sprinkle flour on top. It’s a pretty quick process, just about 1-2 minutes. Shape it into a circular bun and place it inside the pot until the pot is full. Cover the pot with a lid. Cook on a low flame, over the stove, for 30 minutes.